STEM careers are becoming increasingly important, yet not enough of today's students are studying these subjects in school to fill the millions of STEM related-jobs that will need to be filled in the future. Autodesk is increasing student's interest and awareness in STEM through DesignNow events. It’s estimated that by 2020 there will be millions of STEM careers available, yet nowhere near enough skilled employees to fill them. 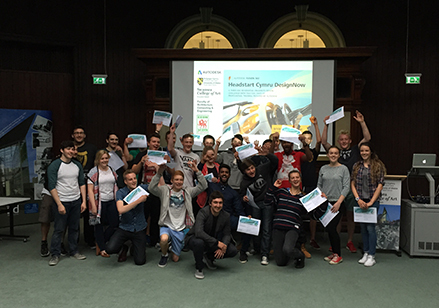 To address this need for skilled STEM workers, Autodesk hosted a DesignNow event at the Swansea College of Art in Wales, to inspire 24 A-level students to explore all that STEM has to offer. The students were challenged to design a habitat, robot, and vehicle to be used for the colonization of Mars. Students studied conditions of life on Mars, and made design decisions based on their findings. They then modeled their ideas in Autodesk Fusion 360 and created physical prototypes with polystyrene foam. Watch the video below to see what they made. Going to Mars? You'll need a rocket. Design one here.